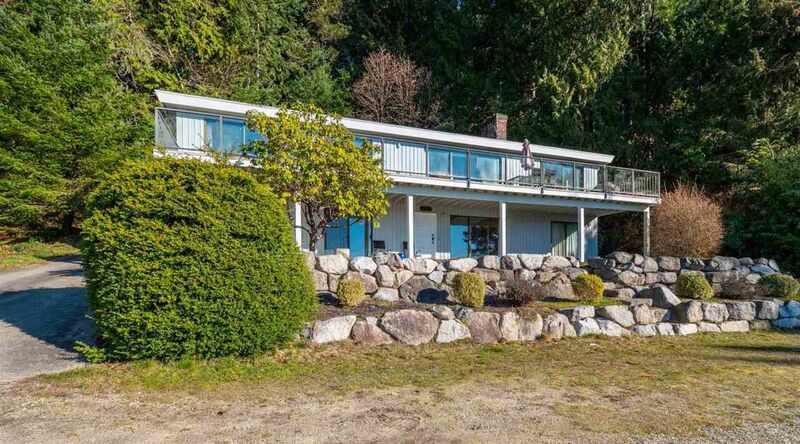 Pristine low-bank waterfront with one of the most stunning views on the entire Sunshine Coast. Enjoy the spectacular sunsets and watch all the summer boat traffic float through Welcome Pass. This low bank walk out waterfront home is at the very end of Merry Island Esplanade with 130 feet of frontage and sits on a private 1.27 acre lot. This spacious 3138 square foot home takes full advantage of the unobstructed westerly ocean vistas from all primary rooms and huge sunny decks. Keep your boat on a buoy right in front of your home and enjoy the hidden gem of the huge sandbar at a low tide. Access at the top of the property off Redrooffs Road.